Send Valentine Flowers To Chennai Online with your heartfelt memorandums and let your loved one feel over the moon in this season of romance. MyFlowerTree ensures a perfect flower compilation and makes your day all the way more special and that too at a very affordable price. 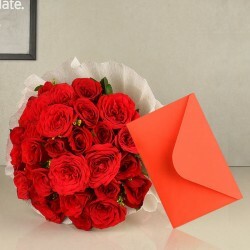 Want To Send Valentine Flowers To Chennai For Your Beloved? Hurry Up! 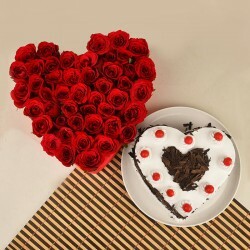 Are you looking for a beautiful way to surprise your girlfriend on Valentine's Day, who resides in Chennai? If yes, then you will be delighted to know that now you can send Valentine flowers to Chennai for your beloved and leave her surprised on February 14th. On Valentine’s Day, just saying ‘I Love You’ wouldn’t be enough to make her say yes. If you want to hear a yes from her then, don’t forget to surprise her with a bouquet of Valentine flowers. Flowers do not only help you in conveying your deepest emotions for your beloved on Valentine's Day but also make everything romantic around you. For example, if you have planned a romantic date with the love of your life then, you can decorate the date venue with gorgeous floral arrangements offered by MyFlowerTree. You cannot find a better way to make your Valentine’s Day special and memorable. 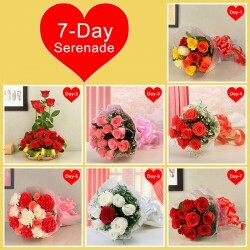 MyFlowerTree has a wide range of Valentine flowers that delivers different feelings and emotions. From red roses that signifies true love to yellow roses that represent friendship, carnations that signify admiration, orchids that symbolize beauty and more. You can pick up any flower that stands true to your feelings for your beloved and send her Valentine flowers to Chennai via our online flower delivery. 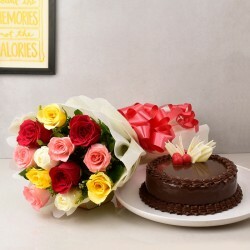 And, while you send a gorgeous flower arrangement for your girlfriend don’t forget to make the surprise sweeter by sending Valentine cakes to Chennai from us. 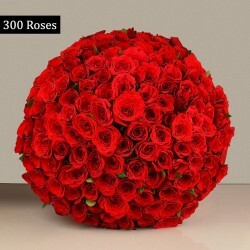 Our mesmerizing collection of Valentine flowers come in various colours like red, yellow, white, pink, peach, and so on. Whether you are looking for a heart-shaped arrangement or a basket arrangement or a nicely arranged bouquet, you can choose from a wide variety of beautiful flower arrangements from MyFlowerTree. In case you want to make the surprise grand for your girlfriend and you think that you can’t do that with flowers then, our luxury collection of metallic roses will prove you wrong. 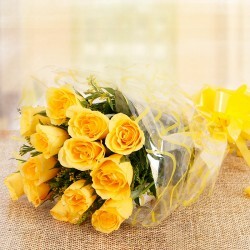 Sending Valentine flowers to Chennai online is a matter of a few minutes now with our impeccable delivery service. 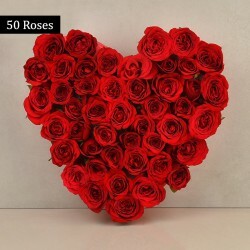 Out of all the online flower and gift shops, there are only a few that meet up to the expectations of their customers during Valentine’s Day, and MyFlowerTree is one of them. 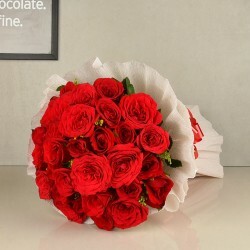 With the aid of our Valentine flowers to Chennai online delivery, now you can send flowers to your lover residing in Chennai and get it delivered to her doorstep on the same day itself. You can opt for our same day Valentine flower delivery in Chennai and get your tokens of love delivered to her workplace or college or apartment and make her feel special. 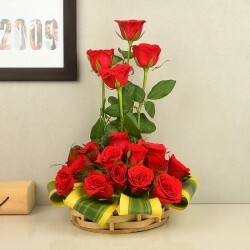 To do so, you don’t have to step outside or travel to Chennai, as you can send her flowers at any time you want by placing your order at Myflowertree.com from the comfort of your home. Products in this category have been rated 4.8 out of 5 based on 131 reviews.